The Power Coders are back and ready for Halloween. To get into an All-State Gaming Competition, the members of the Coding Club have to submit their own computer game. Working with a student graphic novelist, the Coders create a game, complete with a mashed-up Frankenstein monster, to help biology students prepare for an upcoming test. When the graphic novel goes missing before the code's done, it's trouble for everyone! 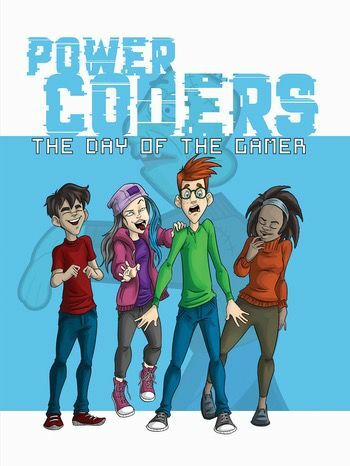 Using real code and step-by-step thinking, this entertaining graphic novel teaches kids fundamentals of computer science. With fun characters and a fast-paced plot, this book also is sure to tickle every coder's funny bone.